* Think about David Beckham’s famous curling free kick! 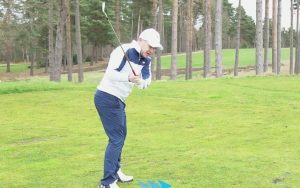 The draw in golf moves from right to left, but it’s got to be under control – when it’s out of control it becomes a destructive hook. 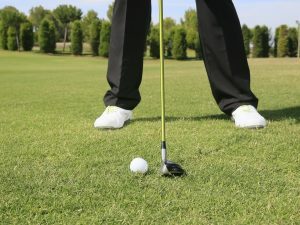 You want the ball to start right of target and finish on target – if it finishes left of target, that’s a hook, whether it’s 10ft, 20ft, 30ft or 50 yards left. A successful draw must finish on target. 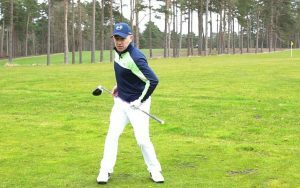 The first thing to do is align the body a little bit to the right, then it’s about the correct movement through the ball. To help, I want you to think about David Beckham’s famous free against Greece back in 2001 that helped England qualify for the World Cup. 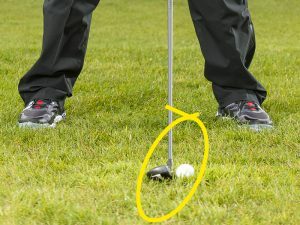 Think about how he took that free kick it – he moved his leg and foot to the right, which is the swing direction we need from the golf club, and made contact with the inside of the foot, which was pointing towards the target as he swung his foot out to the right. 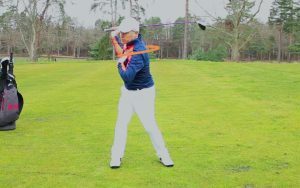 A good way to demonstrate what the clubface needs to do through impact is to hold the club in just your lower hand. 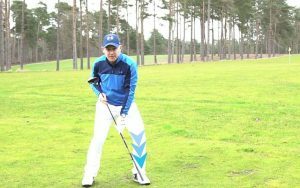 You’ll see that the lower hand correlates closely to the clubface. 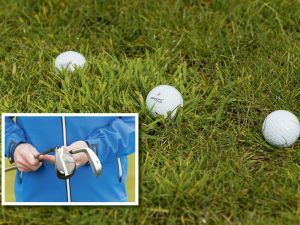 Now slide the club into the palm of the hand – if you want to close the clubface you need to get your index finger to ‘win the race’ through impact to create the desired draw spin. 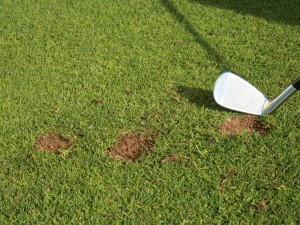 If the base of the hand wins the race and comes in too soon, the ball will head right with a push fade or push slice. 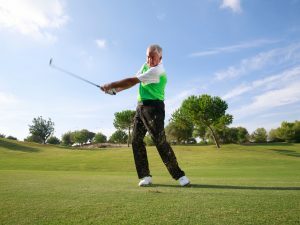 If the index finger wins the race, the clubface will be closed to your path through the ball – just what you need. 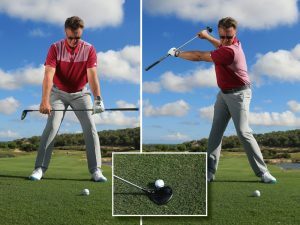 You want to strike the ball a fraction earlier in your swing arc too, so put the ball a fraction further back in your stance – not a huge amount, maybe a roll of the golf ball from its normal position. 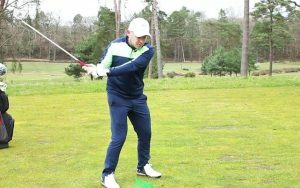 This will help you to hit the ball a touch earlier and create the draw spin. Then it’s all about tempo. 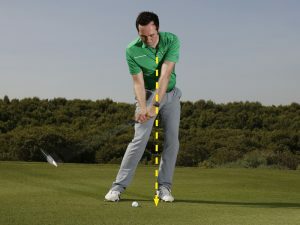 Getting too fast with your body or arms will result in the relationship between face and path getting out of sync, making it hard to generate a consistent draw. 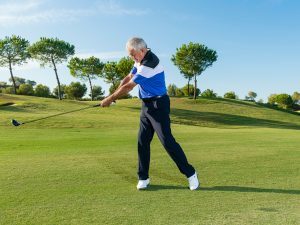 Focus on keeping your arms swinging smoothly as your body turns.